Perhaps, it would not be incorrect to claim that any and all firms and companies producing car seats are siblings of sorts. However, it is not what we mean when we say “sibling brands”. 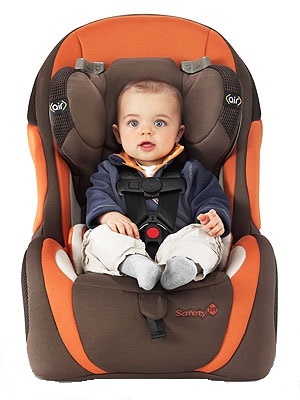 The thing is, Safety 1st is a sibling brand to COSCO, Maxi Cosi, and other car seat brands in the sense they all belong to the same company, which, by the way, is Dorel Industries. By “sibling brand” we mean brands that happen to have a common “parent”. In this instance, the parent in question is Dorel Industries. As a sibling brand to those two brands, as well as others, Safety 1st has both similarities and differences when it comes to them. The similarities are in that the designs are innovative and diverse. The sheer assortment of products speaks well for this brand. However, the main goal of this brand is cross-selling. 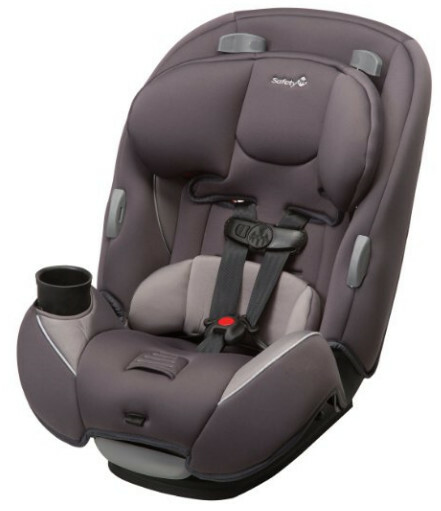 Some car seat companies put their efforts into making their car seat as expensive as possible. 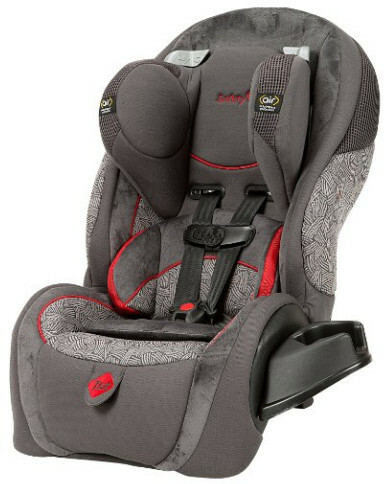 Safety 1st’s source of income mostly comes from products that complement car seats. 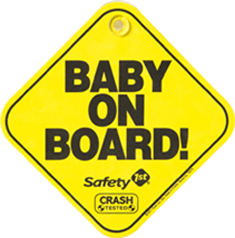 “Baby on board” is a sign introduced by Safety 1st. Its purpose is to indicate exactly that: the vehicle has a baby on board. It was also something for new parents to be proud of. It emerged soon after Safety 1st released their first collection. Some might disagree, but we strongly believe that car seat boosters are not the best type of products Safety 1st produces. It does not mean they do not make good boosters but facts speak for themselves. Out of a multitude of seat belt positioning boosters evaluated by the IIHS, it was Safety 1st’s boosters that failed to make it even to a Check Fit and are, in fact, Not Recommended. Two of their boosters were found too dangerous for children to use. It is only natural for a brand that is not known for making the best of the best booster seats to be better in something else. It does not mean they do not produce some Best Bet boosters, but, all in all, their other products are better yet. 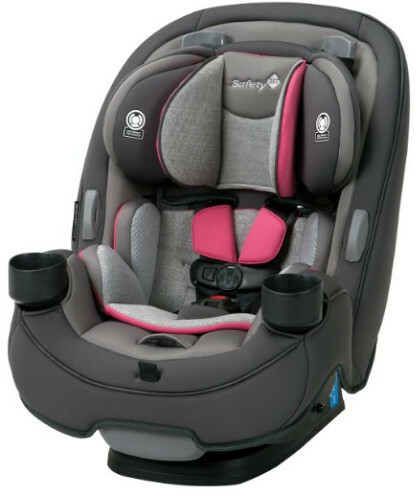 An all-in-one car seat, the Alpha Elite 65 is a nice car seat to choose if you want to get your baby a car seat and not worry about new purchases anytime soon. Unless you have another baby, of course. The Alpha Elite 65 is not a car seat to buy if you have a smaller car. Contrary to some other Safety 1st car seats, the Alpha Elite is only a choice #1 if your car is large enough. The price, however, is average, so you might, in fact, enjoy this seat or rather, let your kid enjoy it. The removable lumbar cushion and adjustable recline and headrest certainly help. The seat is beautiful, very soft, easily reclines and is, in general, very comfortable. Its size, however, might prove a disadvantage in itself. The seat is also hard to clean. If that is an issue for you, we recommend getting a different car seat. 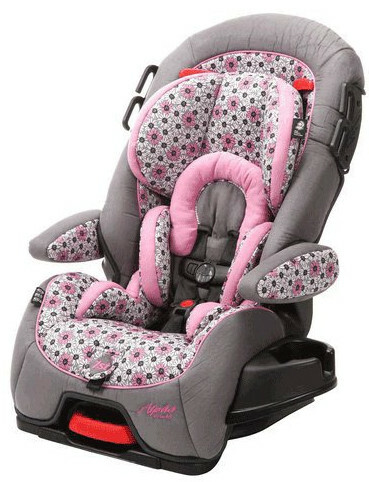 You should also know that it is difficult to get the baby strapped in the rear facing position with this car seat. Of those known issues matter little to you, you will find that the Alpha Elite is the best car seat you can think of. The Continuum 3-in-1 is, just as the name implies, an all-in-one car seat. Unlike some other brands that name their seats “3-in-1” if they simply have three modes, regardless of what those three modes are, the Continuum is a cross between a convertible cars seat and a combination seat, just like it is supposed to be. 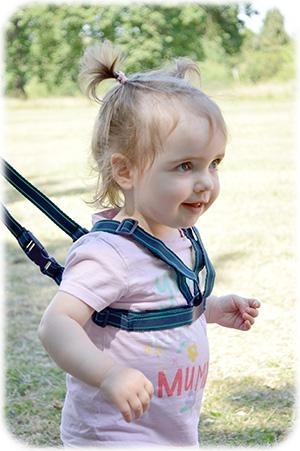 The upper weight limit is not quite as impressive as other all-in-ones and booster suggest but this is not quite as important. Nevertheless, it should be mentioned that it can only accommodate children up to 80 lbs. Being a 3-in-1, this particular car can function as a booster. As such, it has been evaluated by the Insurance Institute for Highway Safety. It has been rated a Good Bet. It is not quite as good as Best Bet but it is still better than a Check Fit. This seat is suitable for most children and vehicles, although not for all. The Continuum is not terribly expensive but it is not very cheap. On the contrary, the price is below average but only just. It is one of the advantages of this seat, however, it is not the only one. The other is that it is a three-in-one car seat. If you take this fact into account, the price is in fact very low. And since you would only need this car seat, it is a very good choice. 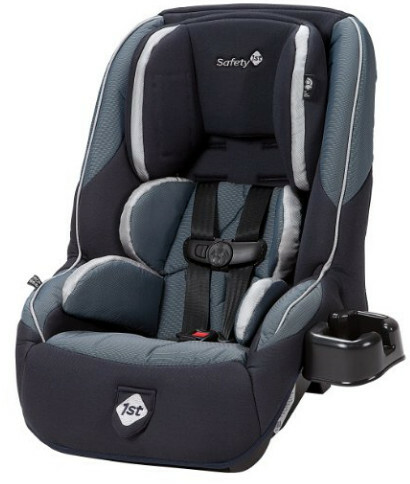 A simple convertible seat, the Air 65 is one of the best products Safety 1st can offer, since their products’ average quality is shifted towards convertible seats. The seat comes with a machine-washable pad and a cup holder that can be used on either side of it. The Air 65 can easily scratch the vehicle car seat. To prevent that, we recommend using a towel between the base of the car seat and the vehicle car seat. This car seat is a little bit more expensive compared to the Continuum but almost as much affordable. It may be not as impressive considering the fact it is only a convertible seat, but that also means that more is invested into this seat. This seat is even cheaper than the Continuum, as of June 2016, at least, but it most certainly is not lacking. Weight limits are quite standard for a convertible seat, and the multi-position headrest is expected almost as much. You will find that the Guide 65 is a perfect choice for you if you have a small car. This is a seat ideally suitable for a relatively small car. Usually, only two seats can be installed side-by-side. However, the Guide 65-s can fit in the rear seat. This seat is equipped with a typical side impact protection, energy absorbing foam. Although trivial, it is quite effective, as well as comfortable. Incidentally, the comfort is even better than typically expected from a car seat since it comes with a lumbar pillow. It is not unusual, strictly speaking, but not every safety car seat comes with one. The seat pad is machine-washable but we recommend that you do not machine dry it. The straps are not even washable, not even manually. Use a washcloth or baby wipes instead. The seat is quite cheap, and therefore there bound to be some disadvantages but they are not crippling. Mostly inconvenient. The seat is hard to install and it takes time to position the baby properly. If you do not mind doing that, this will be a perfect purchase. The 3-in-1 design is certainly a bonus in and of itself. Certainly, any one-stage car seat is inherently better than a multi-stage car seat but only marginally so. Even then, the Grow-and-Go is a good competitor for any other seat. The first two stages have been better thought through by the designers than the last, booster, stage but it does not mean that stage has been neglected. It is still very adequate as a booster, but only adequate, nothing extraordinary. Still, it can accommodate children up to 100 lbs which is a bit unusual for a Safety 1st car seat. Unlike many other car seats, the Grow-and-Go comes with not one but two pillows. That grow with the baby as much as the car seat itself and always provide a snug fit, or such is the idea anyway. When the pillows are no longer needed, they can be easily removed. They primary purpose is to pad the baby up so that the seat would fit. It is a compact car seat, and that, in its turn, it is a good choice for small cars. The material is very soft, although not quite as natural as some other seats. Considering that this set is not really expensive, the Grow-and-Go would make a good purchase.